Honey is an organic, natural sugar alternative with no additives that is easy on the stomach, adapts to all cooking processes, and has an indefinite shelf-life. Honey is as old as written history, dating back to 2100 B.C. where it was mentioned in Sumerian and Babylonian cuneiform writings, the Hittite code, and the sacred writings of India and Egypt. It is presumably even older than that. Its name comes from the English hunig, and it was the first and most widespread sweetener used by man. Legend has it that Cupid dipped his love arrows in honey before aiming at unsuspecting lovers. In the Old Testament of the Bible, Israel was often referred to as "the land of milk and honey." Mead, an alcoholic drink made from honey was called "nectar of the gods." Honey was valued highly and often used as a form of currency, tribute, or offering. In the 11th century A.D., German peasants paid their feudal lords in honey and beeswax. Although experts argue whether the honeybee is native to the Americas, conquering Spaniards in 1600 A.D. found native Mexicans and Central Americans had already developed beekeeping methods to produce honey. 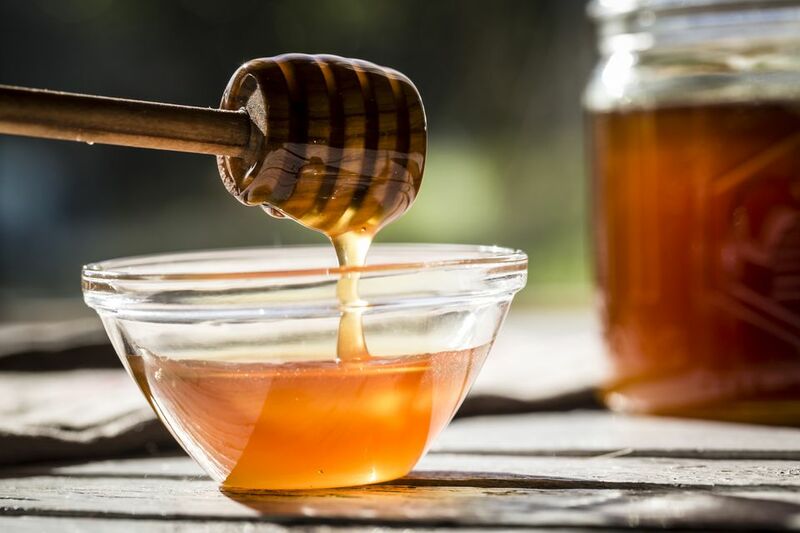 In days of old, honey was used not only in food and beverages but also to make cement, in furniture polishes and varnishes, and for medicinal purposes. And, of course, bees perform the vital service of pollinating fruits, legumes, vegetables and other types of food-producing plants in the course of their business of honey production. The famous Scottish liqueur Drambuie is made with honey.